In a world dominated by big brands and businesses, where standardisation is the path to efficiency, customers consistently look for something out of the norm. This is clearly the case in the travel industry; it’s one of the major reasons Airbnb has been so successful. Travellers can get bogged down by same-same marketing, and middle-of-the-road hotel experiences. They want something unique, authentic, and personalised. To get more direct bookings, your offering has to reflect these desires. So how do you make your property stand out from the competition and convince guests to avoid booking via online travel agents? The first step to being able to offer a unique selling point to travellers is to know who you want to target and who will be visiting your website. For example, Marriott expects 76% of its guests to be millennials within four years, so the company’s direct bookings marketing campaign emphasises the experiential joys of staying at a Marriott. Doing the research into your most common demographic will be worth it, as you can start shaping your offerings to perfectly suit your guests. While using the word ‘bribe’ might be too strong, there are certain offers you can make that travellers will find hard to refuse. For instance, about half would be most likely to book direct if a hotel offered a room upgrade as an incentive. Second in line is free room service, at 23%. 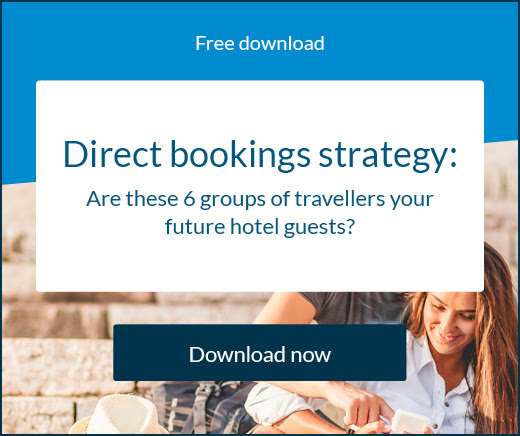 Often an add-on like this won’t break the bank at your business but can be a powerful motivator for travellers to ‘book direct and save’. 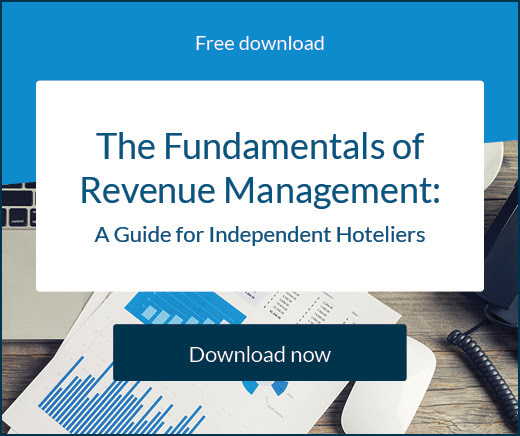 Independent hotels often have a much closer affinity to the local area than big brands, so use this to attract guests via your website. Maybe your hotel is lucky enough to be near a theme park, popular nature reserve, or maybe your building itself is heritage listed. 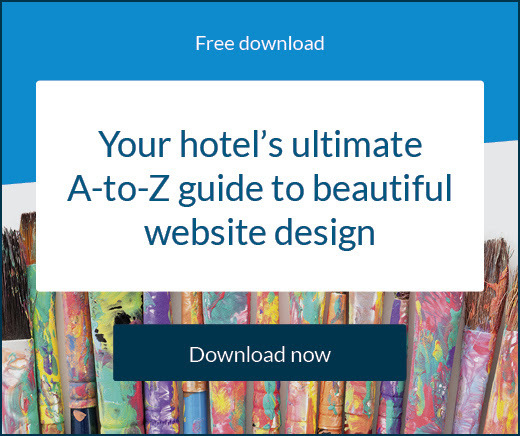 Focus on what makes your hotel special and make this clear when travellers visit your web pages. You could even create special promotions around these unique features to further entice people to book direct. When travellers are browsing your site they want as much information about your hotel as possible, and they want to be wowed. If they get both of these things, it’s very likely they’ll be happy to book directly with your hotel. Think about using video content to showcase your hotel. It doesn’t have to be Hollywood quality, simply a short and sweet production showing off the best aspects of your property and its staff. Or you could go even further and use virtual reality to give potential guests a ‘try before you buy’ experience with a 3D virtual tour of your hotel. VR is becoming very popular and also more cost effective, so it’s worth a thought. The importance of visual storytelling is vital, as is knowing what visuals to use. Images create emotions within individuals and opens up their imagination. Leonardo analysed more than 500 million pieces of media and found that guest rooms are the most-viewed images on hotel websites. This means you should be leading with images of your rooms on your website to get travellers interested and excited. While percentage-off stay deals or common room package promotions are fine, they don’t differentiate your hotel from its competitors. Instead, think about what guests might really want. For example, people are excited about their trip and just want to enjoy the experience. If they have to plan out all their days and work out a number of details, this excitement can fade away to a certain extent; to be replaced by frustration or impatience. Make it easier for guests by offering an itinerary package – a ready-made bundle of activities around the area. You could have a few immersive experiences for specific guest types. This might include a family bundle package that offers tickets to local attractions with vouchers for a meal at your restaurant. On another day it might provide tickets to a children’s play centre while the parents enjoy relaxing massages.